When I look up, I feel dizzy. It’s like a dream. Blitz Craven isn’t just someone on the television set. He’s here. And extending his hand to me. Me. A nineteen-year-old homeschooled wall flower. I have to swallow over the lump in my throat. He looks so handsome, so devilishly roguish, that I’m momentarily stunned. I take his hand and allow him to lift me up. “You look devastatingly beautiful in pale blue,” he says. I glance down at my leotard and matching skirt. It’s now officially my favorite outfit. “What are we going to dance?” I ask. He steps in close to me and takes my right hand in his. “Left hand just below my shoulder,” he says. His muscle there is strong. I’ve never touched anything like it. He places his free hand lightly on my shoulder blade. A tingle runs up my spine. I nod, although my mind is racing. Are my hands sweaty? What if I step on him? He’s going to think I’m a terrible dancer. I flirt with the idea of sprinting for the door. But he counts us in, and something in the squeeze of his hand and the pressure on my back tells me when we’re going to move. We step back, left, and together, and then he pauses. He starts us off again, and this time we move around the room. I can’t believe it, but I’m waltzing! “You’re amazing,” I tell him, and I mean it. “You learn quickly,” he says. His steps become longer, more exaggerated, and suddenly we’re turning, and I’m keeping up somehow. There’s communication in his touch, in the pressure of his hands, some small clue in his posture and position, and my brain gets it. Take this pivot, lean here, stretch out the step. Deanna Roy is the six-time USA Today bestselling author of contemporary romance and women’s fiction. She is a passionate advocate for women who have lost babies. 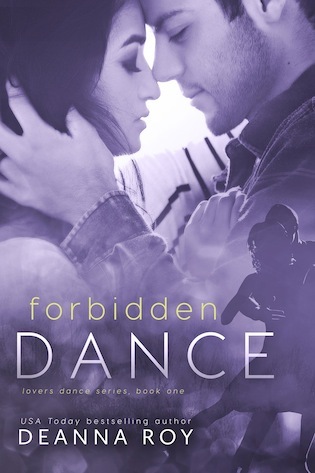 She has several books on the subject, including her bestseller FOREVER INNOCENT, a romance about a couple whose baby is taken off life support at seven days old. She has run the website PregnancyLoss.Info for fifteen years, including many large spin-off support groups both online and in person. To learn about new releases, sign up for her subscriber list at http://deannaroy.com/news. She has regular giveaways in conjunction with major pregnancy loss events.